Speaking to the Organisation of Islamic Cooperation (OIC), New Zealand Foreign Minister Winston Peters was responding to Turkish President Tayyip Erdogan who has said Turkey would make the suspected attacker pay if New Zealand did not. New Zealand on Friday defended its reaction to its worst mass shooting, telling Muslim countries meeting in Turkey that the police response to the killing of 50 people was “instantaneous” and the perpetrator would spend life in prison. 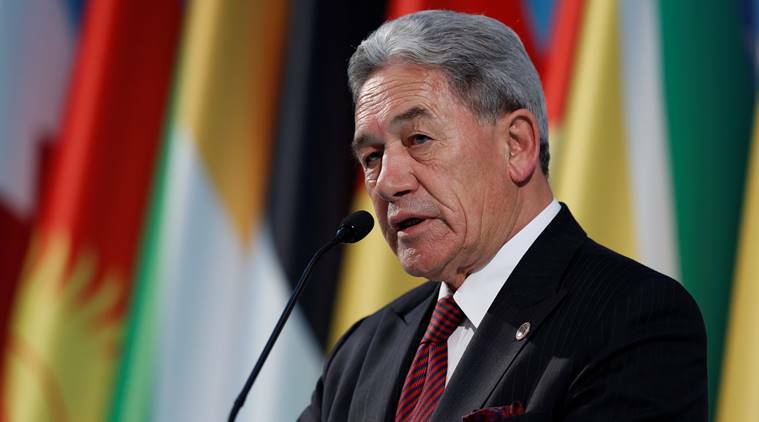 Speaking to the Organisation of Islamic Cooperation (OIC), New Zealand Foreign Minister Winston Peters was responding to Turkish President Tayyip Erdogan who has said Turkey would make the suspected attacker pay if New Zealand did not. Erdogan’s comments at a series of election campaign rallies – including calling on New Zealand to restore the death penalty and repeatedly showing video footage of the shootings that the alleged gunman had broadcast on Facebook – triggered a diplomatic dispute between the nations. “This person will face the full force of New Zealand law, and will spend the rest of his life in isolation in a New Zealand prison,” Peters told the OIC, meeting in emergency session to discuss Islamophobia and the March 15 shootings in Christchurch. “Our police have started the largest investigation in our history,” said Peters, who had earlier condemned Erdogan’s airing of the footage as risking endangering New Zealanders abroad. The OIC meeting in Istanbul was also attended by Erdogan, who briefly met Peters on the sidelines. No other heads of state or government attended the gathering. Iran was represented by Iranian foreign minister Mohammad Javad Zarif and Saudi Arabia by its ambassador to Turkey. Addressing the conference separately, Erdogan struck a conciliatory tone, saying the empathy and reaction displayed by New Zealand Prime Minister Jacinda Ardern since the incident “should be an example to the world.” Australian Brenton Tarrant, 28, a suspected white supremacist, has been charged with one murder following the attack and is likely to face more charges.